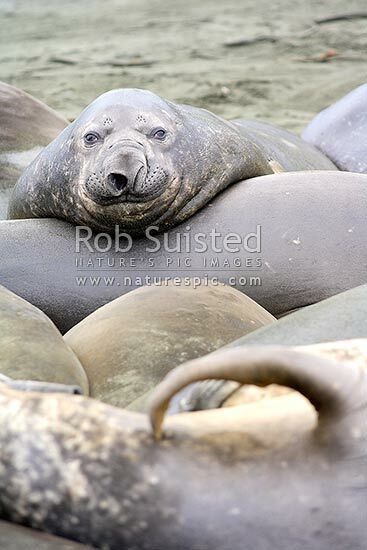 Southern Elephant Seals lying in group on beach. One nostril open. Scratching with flipper (Mirounga leonina). Phocidae, Macquarie Island, NZ Sub Antarctic District, NZ Sub Antarctic Region, Australia, stock photo.